She Stood Up On A Chair In The Cafeteria. By The End I Was Yellin' "AMEN"! These students' hearts broke with all the pain in the world today and they knew the only answer was prayer. So they organized this moment of prayer all by themselves. 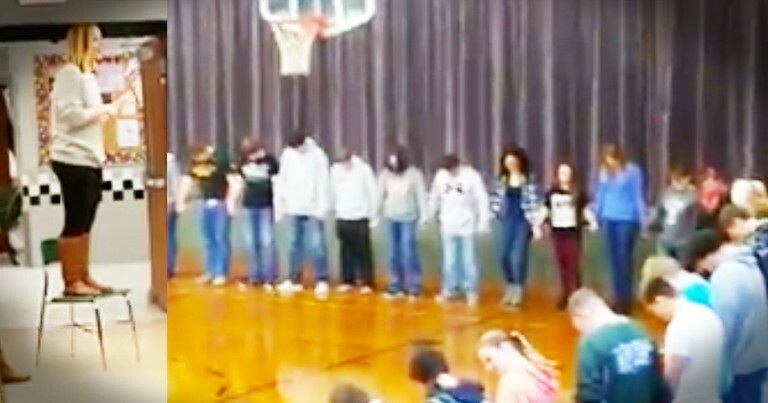 And seeing the number of students who chose to pray for our world is beyond moving!